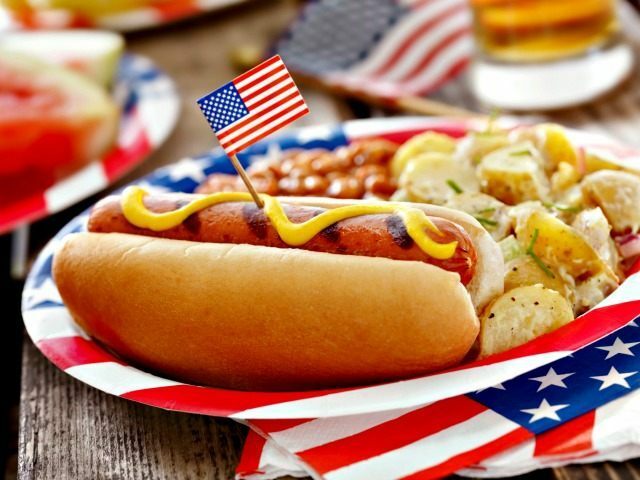 This Fourth of July, families across the nation will gather around hot dogs (or their favorite vegetarian alternative) and potato salad to spend some quality time together, watch fireworks and reflect on the holiday’s meaning. So far, so good. But if you guessed that there’s a ‘but’ coming, you’re correct. But as much as we love our families – and we do, seriously –we don’t always agree when it comes to current events, like last week’s Supreme Court decision upholding tax credits that help make insurance under the Affordable Care Act (ACA) more affordable for millions of people. This is like those times in college when you’d call home just to chat and then mention, in passing, that you needed money. Surprise, HHS doesn’t really care about your vegetarian broccoli burgers. Misinformation about the ACA is everywhere, and there’s been a lot of money spent to spread that misinformation – as much as half a billion dollars in ads, according to one 2014 estimate. Yes, misinformation is everywhere. If you like your plan, you can keep your plan. If you like your doctor, you can keep your doctor. People will save $2,500 a year off their premiums. The Cadillac tax. Yes, there was lots of misinformation out there. As for the ads criticizing Obamacare, that figure is accurate but omits the fact that $700 billion was spent by state and federal governments to promote the law. Now we’ve gone from the sphere of public holidays to the sphere of public events to the sphere of private family discussions. There should have been a stop sign or, better yet, a do not enter sign there. This is a line Obama’s permanent campaign has crossed before, but this isn’t coming from Organizing for Action; this is coming from HHS. Think about the phrase “you say” for a moment. The Obama administration is not only telling you to upbraid your uncle Ted, they assume you’re too dumb to do it on your own. They need to give you the words to say. This is a script for insecure zealots who need their lines spoon-fed to them. I don’t think it’s healthy for the federal government, in a blog post or any other forum, to offer talking points for use at private family gatherings. That strikes me as the sort of thing a totalitarian state might do. It’s Orwellian and, frankly, un-American in concept. Of course arguing about politics is one of the things families do when they gather. There’s nothing wrong with that, but the federal government should not be attempting to directly intrude on those conversations with partisan advice for defending the current government’s policies. Imagine the reaction to President Bush’s DOD publishing a blog post titled “Tips for Talking to Your Family about the Iraq War this Fourth of July.” The fact that the major media all but ignored the HHS post shows how accustomed we’ve become to being community organized by this hyper-partisan White House.